Stem cell transplantation, sometimes referred to as bone marrow transplant, is a procedure that replaces unhealthy blood-forming cells with healthy cells. Stem cell transplantation allows doctors to give large doses of chemotherapy or radiation therapy to increase the chance of eliminating blood cancer in the bone marrow and then restoring normal blood cell production. Researchers continue to improve stem cell transplantation procedures, making them an option for more patients. 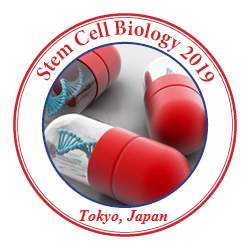 The basis for stem cell transplantation is that blood cells (red cells, white cells and platelets) and immune cells (lymphocytes) arise from the stem cells, which are present in marrow, peripheral blood and cord blood. Intense chemotherapy or radiation therapy kills the patient's stem cells. This stops the stem cells from making enough blood and immune cells.